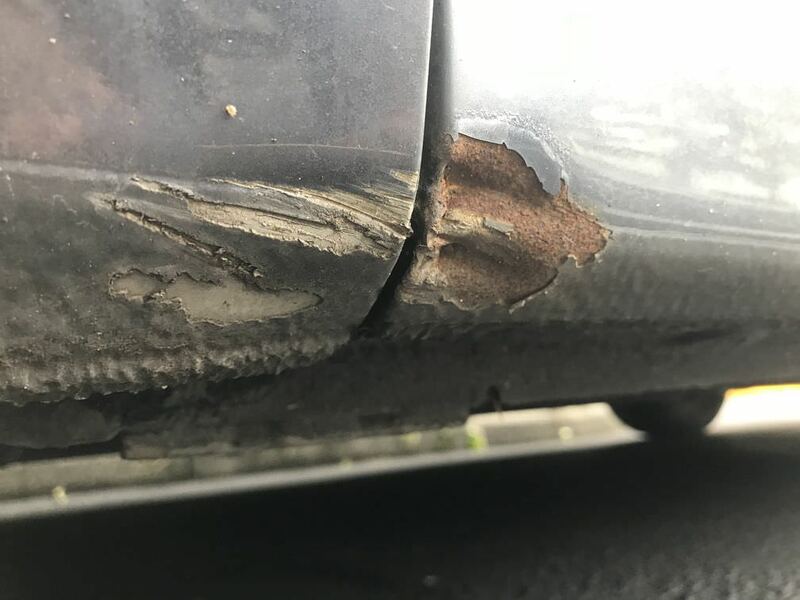 Repair small rust spot on door? 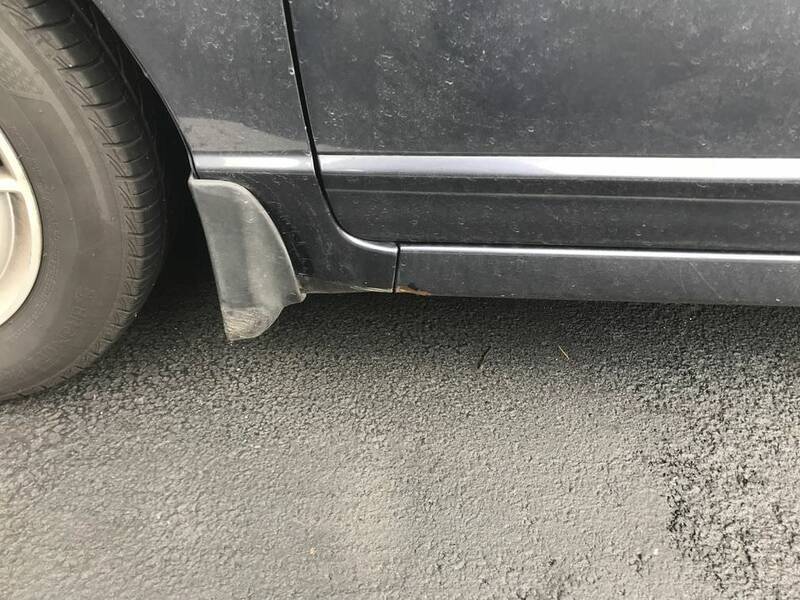 I checked all the wheel wells for rust, but didn't notice this tiny spot under the door when I purchased the car - looks like a scrape at some point. Any suggestions on how I can repair it since I don't want the rust spreading, and the best place to get the matching paint? 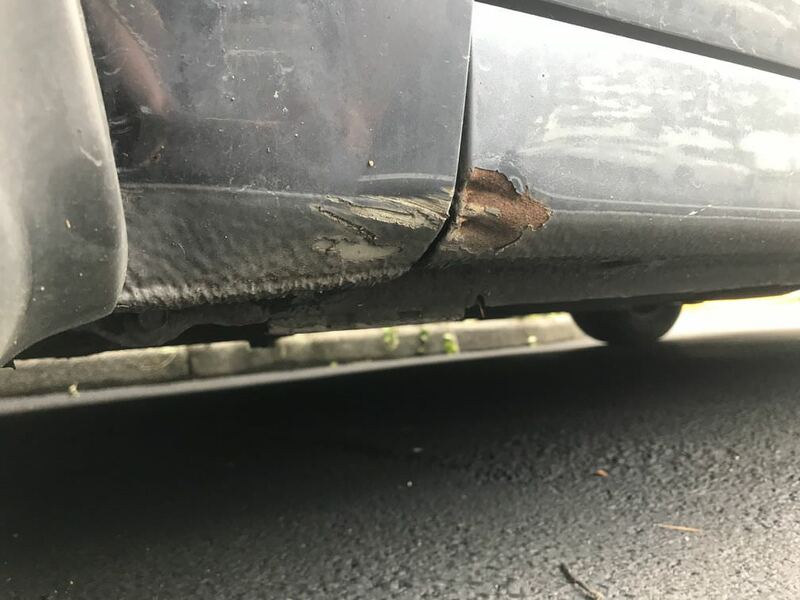 Re: Repair small rust spot on door? grind it to bare metal , then buy rust dissolver, put it on let it sit, .. wipe it clean , then prime it within 5 min.. after that you can do what i did , use bedliner and do the whole car to a line and cover that area , or paint it , and clear coat it..
hi just asking is that what the product is called rust dissolver to use on that kind of aplication? Thanks for the help, I've ordered the primer, paint and clear coat from automotive touchup, as well as their assorted sandpaper pack which was pretty affordable. Will be picking that up from my US mailbox. I wondered about the rust dissolver as well as rogerscivic asked. After looking into this it appears that in the US, the Loctite Naval Jelly Rust Dissolver is the most popular, but in Canada, Rust-Oleum Rust Remover Jelly is the equivalent? I will probably be getting some of the Rust-Oleum as it's easy to find at Home Depot here. Will post the results when done! Only remaining annoying part is it seems the top part of the skirting has come away from the door a little bit (you can see it in the top-middle of the second photo I posted), not sure if there is any way I can fix that and get it back in place. I can live with that though, unlike the rust eating away at the car. the tweaked part of the fender you can bend back, might have to unbolt it at the bottom to get more movement. I used loctite naval jelly.. I will post pictures one of these days soon.. how I did mine to certain level, and certain sections. my car is also undercoated.. 2010 civic 90kmiles 0% rust. I live in Rochester NY not to far from Canada so its a rust belt area. I used bedliner product an draw a line across and did some rear arches on the inside.. common rust spots on this civic.. ..
u will see it.. i will try an snap tommorow some. What's your favorite vacation spot, or getaway spot? Dirt in the paint and a rust spot. Rust spot on the door..anything that will help get rid of it? Quick Reply: Repair small rust spot on door?